BICARA PELABURAN: SIAPA PENJAGA SAHAM ITRONIC, SOLUTION, MNC DAN VIS? 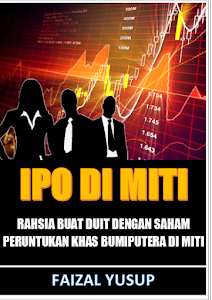 SIAPA PENJAGA SAHAM ITRONIC, SOLUTION, MNC DAN VIS? Sebagai sambungan kepada artikel FY pagi tadi, ada pula persoalan siapakah sindiket atau siapakah "penjaga" saham-saham yang diperkatakan itu. Maka di sini FY bagi jawapannya. PETALING JAYA: A day after four small capitalised stocks hit limit down, the shocks reverberated across Bursa Malaysia as penny stocks saw a major sell-down yesterday. At the close of the market, the FTSE Bursa Malaysia Small Cap Index shed over 200 points to close at 17,390. The drop in the small-cap index reflected the poor sentiment across the broader market where some 728 counters finished the day in the red while only 192 ended the day higher. There were 256 stocks that remained unchanged. Among the small-cap stocks which fell the most were Stone Master Corp Bhdplunging 41.23% to 33.5 sen, Tiger Synergy Bhd which was down 10% to 14 sen and Wong Engineering Corp Bhd which finished 14.53% lower to 73.5 sen.
On Monday, four penny stocks, namely Visdynamics Holdings Bhd, MNC Wireless Bhd, Solution Engineering Holdings Bhd and Industronics Bhd, hit limit down almost simultaneously in the afternoon session, drawing queries from Bursa Malaysia. According to a dealer, the four companies each had a block of shares that had been rolled over a few times. “The was no real money coming in to pick up the blocks. The bubble finally burst after one stockbroking house out of several, stopped the line of credit,” said the dealer. At the close yesterday, Visdynamics and Industronics remained in the red finishing 41.49% and 15.58% lower respectively while MNC and Solution Engineering recovered some earlier losses, ending the day 16.67% and 7.69% higher respectively. Industronics in its reply to Bursa Malaysia on its unusual market activity (UMA) said it was currently exploring a proposal which involved an internal reorganisation of the group while MNC said it was not aware of any explanation for its UMA. As far as links between the firms go, Solution Engineering is 10.8% owned by Industronics, an electronics company which has Danish national Christian Kwok-Leun Yau Heilesen as its chairman. Interestingly, Kwok is being bandied around as being the common person involved in all four stocks. The 30-year-old Kwok, however, said he had divested all his investments in Malaysia several months ago. “I have not been to Malaysia for several months now ... I sold all my investments several months ago to investors from Macau,” Kwok told StarBiz when contacted. Kwok, together with Raymond Yip Wai Man, used to own about 15% in DVM Technology Bhd and he also held a stake in Industronics, which he has since divested. He is no stranger to market controversy. In 2011, Kwok, who is based in Hong Kong together with Yip, bought into DVM after which they requisitioned an EGM to remove several directors from the company. The boardroom tussle never happened. Instead Kwok and Yip sold out of DVM. Not long after that, DVM’s share price plunged to 13.5 sen after reaching 25 sen earlier, its highest in five years. This current fall in the shares of small-caps is fast stoking concerns among traders, suggesting to them that the party could be over. Despite the fall in certain small-caps in the past two days, the FTSE Bursa Malaysia Small Cap Index is up 10% year-to-date. It has gone up significantly compared with the benchmark FTSE Bursa Malaysia KL Composite Index which is up 0.4% since the start of January. Some analysts feel that there remains some upside for the lower-liners as bigger-caps and blue-chips are still expensive and offer comparably less returns to investors. Sekali lagi FY harap artikel ini memberi satu ilmu pelaburan saham yang bermanfaat buat anda agar anda dapat mengelak dari melakukan kesilapan yang sama di masa-masa mendatang. Menyelamatkan diri dari kerugian, mengelak diri dari dipermainkan oleh sindiket saham. Layari www.seminarsaham.com.my untuk tujuan pendaftaran. 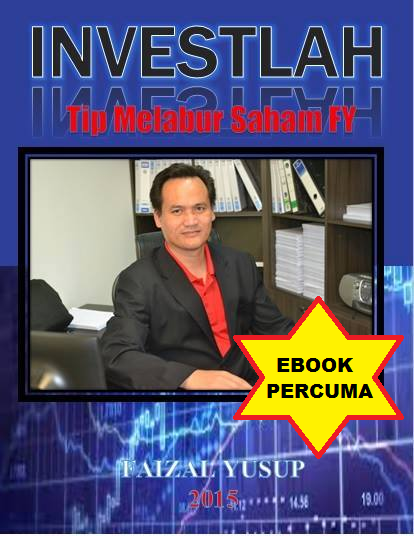 Kepada yang dah rugi melabur saham sebegini, kepada yang dah pernah pergi seminar beribu ringgit tetapi masih tidak dapat memahami ilmu yang sebegini maka jemputlah hadir. 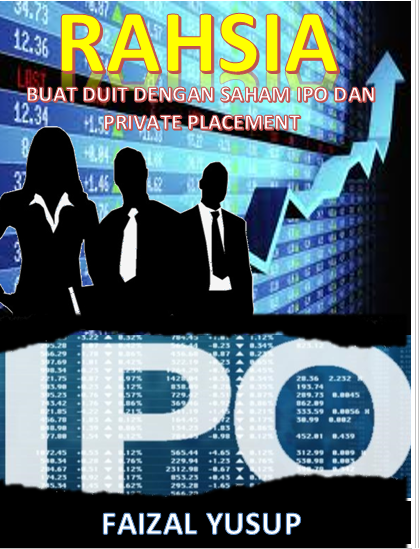 LIKE Page FB FY – www.facebook.com/SeminarSuperInvestorSUBSCRIBE di www.faizalyusup.net bagi mendapatkan artikel-artikel TERKINI mengenai pelaburan saham.